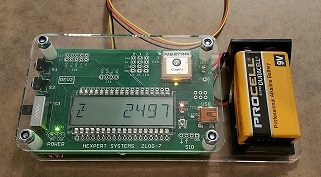 ZLog-7 data logger. Assembled board with 18" external temperature sensor, acrylic enclosure and battery holder. Precision sensor with longer 18" cable to measure external temperature. Acrylic enclosure with 9v battery holder for ZLog-7 Rev2. Soldering required. 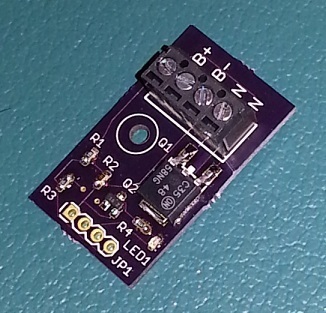 Connect to ZLog-7 J11 to add altitude controlled high current switch. Useful for balloon separation or other function switching based on altitude. ZLog-6 recording altimeter with display. ZLog-6 altimeter - serial output.